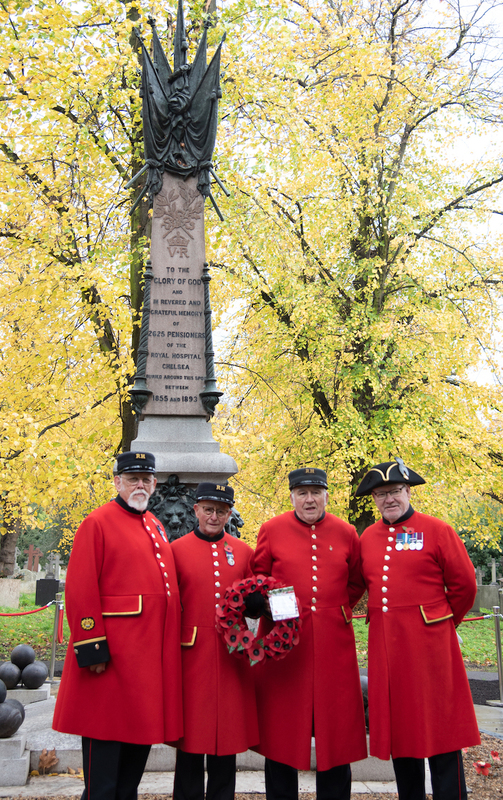 The Royal Hospital Chelsea joined with the Royal Parks at Brompton Cemetery on Wednesday as part of the 2018 Armistice commemorations to dedicate a recently refurbished memorial in tribute to the Pensioners buried in the cemetery. 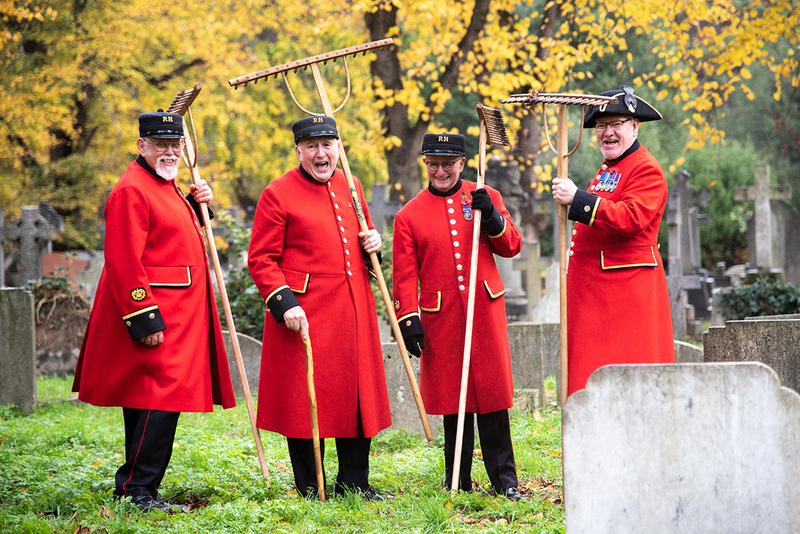 The Chelsea Pensioners were joined by staff and volunteers from the Royal Parks, who have been working to restore the memorial in honour of the 2,625 Chelsea Pensioners buried there between 1855 - 1893. 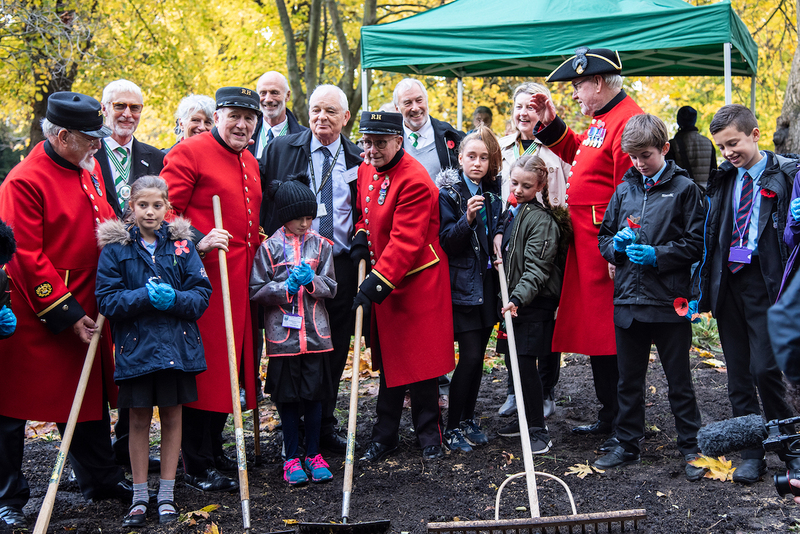 Following the dedication, Chelsea Pensioners Rick, Jim, Pete and Ray, assisted by local school children, lent a hand in preparing the ground in readiness for the planting of a memorial wildflower meadow also dedicated to Royal Parks and Palaces staff who died in the First World War. 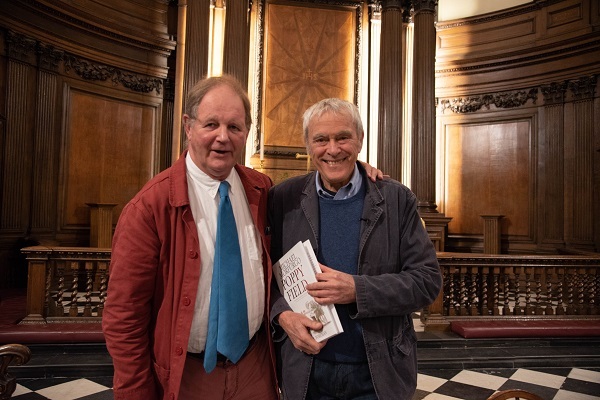 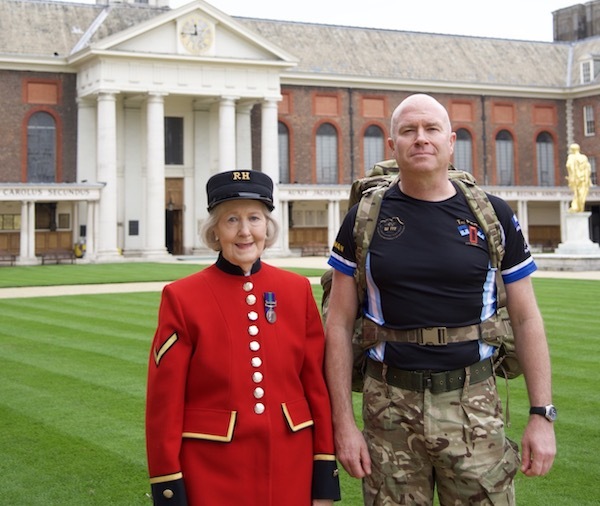 The initiation of the meadow was led by the Reverend Steven Brookes, chaplain of The Royal Hospital Chelsea, assisted by The Royal Parks trustee, Wesley Kerr, together with Chelsea Pensioners, horticultural students and liverymen from the Worshipful Company of Gardeners. 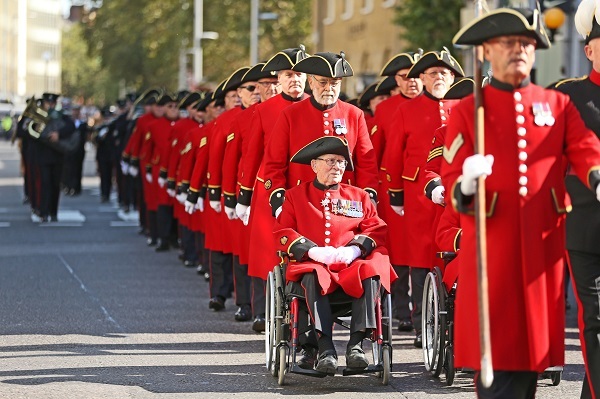 Royal Parks chief executive Andrew Scattergood said: "We must always remember the huge sacrifice made by our predecessors. 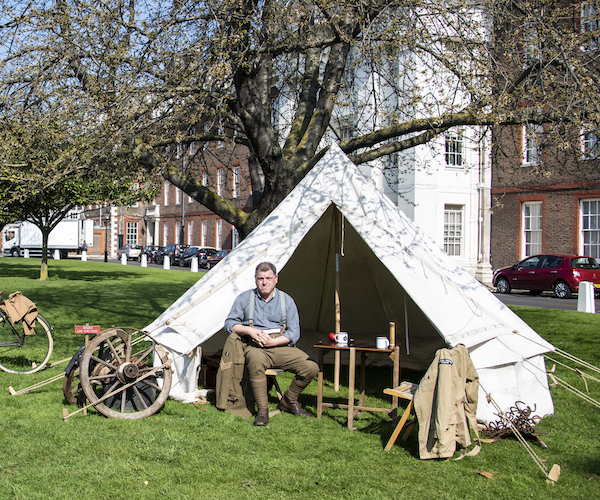 And, as we mark the centenary of the end of World War 1, it is an honour and a privilege for The Royal Parks to commemorate the courage and immense bravery of all the gardeners and parks staff who lost their lives in this most terrible of wars.